UNE student Penny Leary jokes that she doesn’t like sleep and that she’s working her way through her bucket list of careers. Both sentiments ring true. To say this mother of three young children is busy is an understatement. As well as studying for a Bachelor of Science degree part-time, Penny represents online students on the UNE Academic Board and a host of other committees. One week out of every fortnight she’s also running the family’s household solo. And she’s arrived at science via a rather circuitous route – first a law degree, then six years as an intensive care paramedic, and then three years of pharmacy study. “Pharmacy is an amazing profession, but on my first day of prac I hated it,” Penny said. “Every life experience and skill you develop, even if it’s in a totally different discipline, helps to create the person you are,” Penny said. “At UNE we enjoy lots of practical experience. The intensive schools, for example, provide maximum support and opportunities, and our smaller cohorts bring you closer to your lecturers and peers. 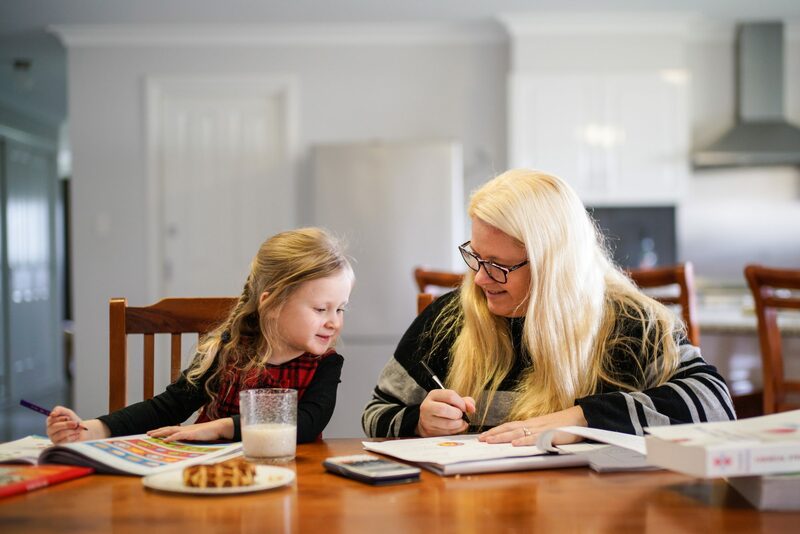 A deep love of learning and sheer hard work earned Penny the Vice-Chancellor’s Scholar Academic Engagement Award in 2016, and she and her young family moved to Armidale from Bowral the following year. “Initially I chose UNE because it had the only online pharmacy course in Australia and I thought that in time I may transfer back, closer to Sydney,” Penny said. “But after starting at UNE I didn’t want to move. It’s such a supportive learning environment for a young parent, especially with my husband working away regularly. I feel as though I am valued as an individual. Penny says she has enjoyed giving students a voice and valuable input into decision-making on the UNE Academic Board. Improving communication and cooperation between different groups within the university was one of her goals. “I like to be busy; I can’t sit back and wish something would change, I like to get results,” Penny said. “I want my kids to grow up knowing that hard work delivers results and that if you want something badly enough, it will take sacrifice, but it is achievable. “Having people that believe in me at UNE has helped me to grow in confidence, to the point where I have taken on casual employment at the uni doing project work and demonstrating/marking. Photo: Penny Leary with daughter Eloise.